Cross-platform software development with .NET Core and F#. This is the script I will follow but it can be used to learn or practice on your own. Get the latest version here. Select your operating system and follow the installation instructions. We need a folder to work in. Let's create one. Find a file system location that works for you. 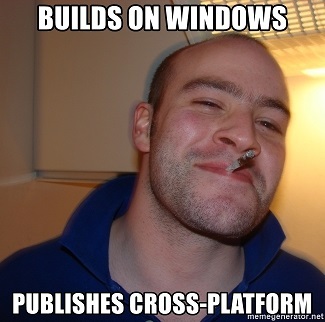 I am going to do this in my Windows home directory on my Windows Subsystem for Linux environment. This is equivalent to my Windows home directory. If you are on Windows, you can use that too. Use a location that works for you. Use the command line commands that work for your environment. This is the folder where we will do all of our work for the rest of the workshop. 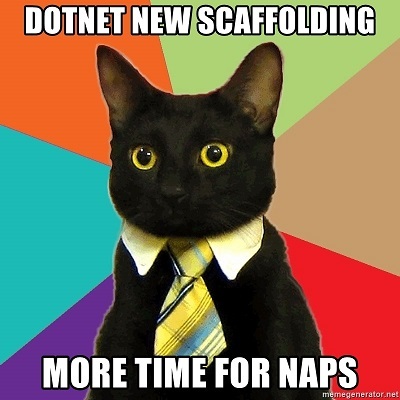 dotnet new is what we use to scaffold a new project. --dry-run           Displays a summary of what would happen if the given command line were run if it would result in a template creation. --l, --list Lists templates containing the specified name. If no name is specified, lists all templates. Your templates may look different than mine. That is ok.
We have a lot of built-in templates. The first column is the template, the second is the short name, which is used in the dotnet new command, and the third is the language supported by that template. Notice we have lots of F# templates available. Scaffolds a project you can use to build a CLI or an executable. We will see more later. This is a class library that can be referenced by other projects. It cannot be executed, or run. A solution file defines a set of projects that are related to each other. This is helpful in IDEs like Visual Studio Code and Visual Studio. The IDEs can use the solution file to organize your projects. The solution file can also help with the compiler. First we need a solution structure. This is what I will use and is similar to what I usually do. This mostly follows the principles of clean architecture or onion architecture. We will talk about all of these parts later, but first let's setup the folder structure. Let's create a Console Application using the F# language. It is going to live in the workshop.cli folder. By default, dotnet new names your project according to the folder in which you are creating the project. So to get a new workshop.cli, use cd to get into src/workshop.cli, first. A lot of stuff happened but you should see a confirmation message in the output. 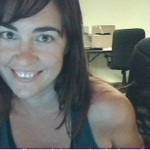 drwxrwxrwx 1 marnee marnee 512 Mar 24 11:27 .
drwxrwxrwx 1 marnee marnee 512 Mar 24 11:25 .. This where all your code will go. This is the entry point for execution. proj files are common to all .NET projects. This defines what files are associated with the project, and the compiler will use the proj file to know what code to compile. Let's see what this workshop.cli will do. a. This means it will turn the code into a binary file. Let's see what this command can do, first. You should see the usage and options. -h, --help                            Show command line help. -c, --configuration <CONFIGURATION>   The configuration to run for. The default for most projects is 'Debug'. -f, --framework <FRAMEWORK>           The target framework to run for. The target framework must also be specified in the project file. -p, --project                         The path to the project file to run (defaults to the current directory if there is only one project). --launch-profile                      The name of the launch profile (if any) to use when launching the application. --no-launch-profile                   Do not attempt to use launchSettings.json to configure the application. --no-build                            Do not build the project before running. Implies --no-restore. --no-restore                          Do not restore the project before building. -v, --verbosity <LEVEL>               Set the MSBuild verbosity level. Allowed values are q[uiet], m[inimal], n[ormal], d[etailed], and diag[nostic]. --runtime <RUNTIME_IDENTIFIER>        The target runtime to restore packages for. --no-dependencies                     Do not restore project-to-project references and only restore the specified project. 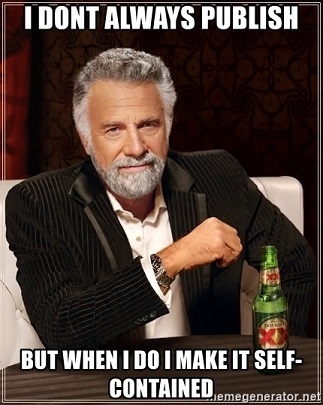 --force                               Force all dependencies to be resolved even if the last restore was successful. This is equivalent to deleting project.assets.json. Arguments passed to the application that is being run. Cool! We have a lot of options. Let's try running the default options first. Remember the usage? dotnet run -h can help. By default, if no -p, --project option passed, dotnet will try to find a project file in the current folder, and if it finds an executeable project, it will do the run on that application. If it seems slow, this is ok. That is because dotnet run is restoring and building first. Let's go through the steps to start a class library. 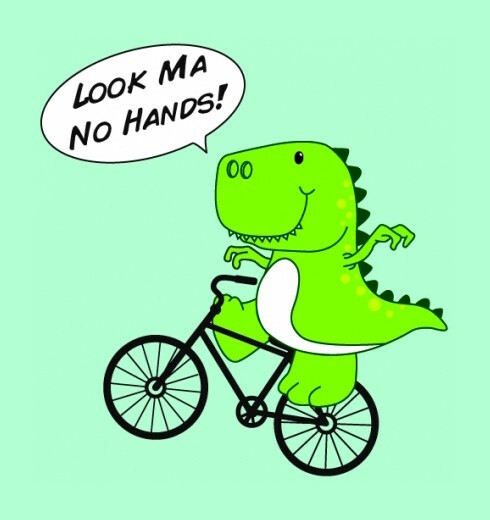 Remember that dotnet new will scaffold a project with the same name as the containing folder, so remember to cd into the desired folder before running the command. Let's first go to the workshop.domain folder we created earlier. This is where we will scaffold our class library. Do you remember how to see the templates? The Class Library templates short name is classlib. What command do we use to create a class library using F#? The default language is C# so don't forget to specify the language if you want to use something else. Let's see what it created. You should see the new project files. Here we see the proj file again. And a file called Libary.fs with a bit of code in it. Since Class Libraries are not executable, we can't run dotnet run on it. But we can reference it in an executable project, like a console application, and reference and use the class library in that project. You can't access code in a separate project without referencing in. References go in the proj file using certain XML elements and attributes. First, go up one level to the src file. This will make it easier to write the commands. Let's reference workshop.domain in workshop.cli. To do that we use the dotnet add command. Let's see the usage and options. <PROJECT>   The project file to operate on. If a file is not specified, the command will search the current directory for one. <PROJECT> is the path/project file to the project to which you want to add the reference. In this case it is the path to the workshop.cli project file. We will see this later. package <PACKAGE_NAME>     Add a NuGet package reference to the project. 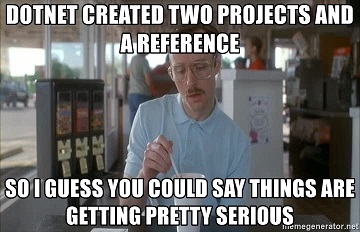 reference <PROJECT_PATH>   Add a project-to-project reference to the project. is the path to the class library you want to use in your project. How would we reference workshop.domain from workshop.cli? Pro tip: use tab complete. Type out a few characters and then hit tab. The command line will try to complete the path for you. This is available in both BaSH and DoS. Reference `..\workshop.domain\workshop.domain.fsproj` added to the project. Let's see what happened to the proj file. Let's print the content to the screen. First, get yourself into the workshop.test folder. Pro tip: tab complete is your best friend. dotnet new comes with templates for creating xUnit and nUnit test projects. Those are great, but let's use something functional programming oriented. Let's use Expecto. Expecto publishes a dotnet template that we can install and then use. Go to the Expecto template on Github. There are lots of different templates available. You'll see instructions on how to install the template from Nuget (Nuget is a .NET package manager and repository). -i is the option for installing new templates. Now we can use it to scaffold a new Expecto project. Notice that we have a proj file and two sample test files. We can use dotnet run or dotnet test to run tests because technically they are console apps with a bit of extra code scaffolded to create sample tests. You should see a bunch of output and stuff that looks like errors. That's ok. Some of the tests are meant to fail as demonstrations in the sample code. The most interesting bit in the last line. Here we see a report of the number of tests that failed, were ignored, and passed. 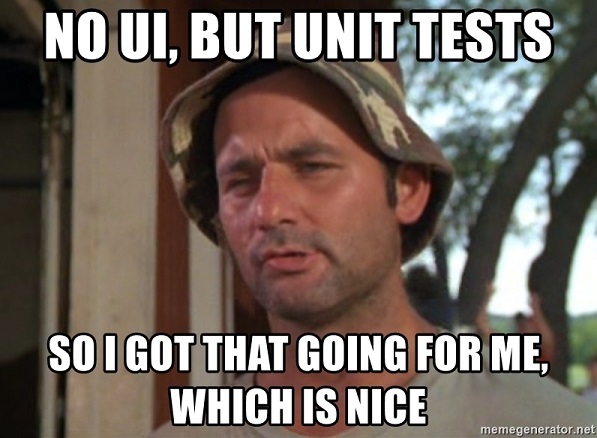 We will write more tests later. Go up two levels so you are now in the interactive-workshop folder. Let's try building (compiling) code without a solution file. What happened? A whole lotta nothing. But that's ok because we will scaffold a solution file to help us. Now use dotnet new to create the solution file. Let's look inside it to see what happened. Notice that dotnet new created a solution file with the same name as the folder. Did you see this file? Pro tip: tab complete will save you time and money! That's a lot of weird stuff. It doesn't matter much but it's mostly a bunch of stuff msbuild and Visual Studio understand. Notice that there are no references to any of our workshop projects. That's ok. We are going to add them. 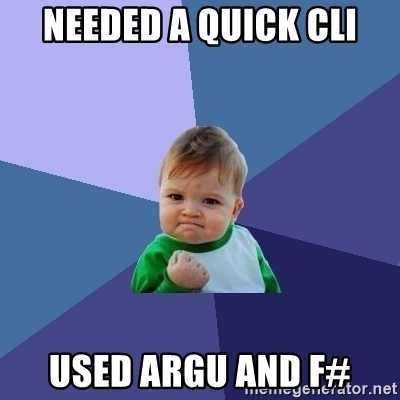 But first try a dotnet build to see what happens. dotnet doesn't know what to build. That's ok. We are going to help it. We have a new command to use that helps us with solution files. Let's see what it does. add <PROJECT_PATH>      Add one or more projects to a solution file. list                    List all projects in a solution file. remove <PROJECT_PATH>   Remove one or more projects from a solution file. Cool! Looks like we can add projects, list projects, and remove projects. Let's add the workshop.domain project. If that worked you should be able to build now. Did it look a little like this? Restore completed in 541.07 ms for /mnt/c/Users/Marnee/interactive-workshop/src/workshop.domain/workshop.domain.fsproj. Great! That worked. Now try to add the .cli and .test projects. What happens when you dotnet build now? Awesome! This will save us time and typing effort and lessen our cognitive burden. Get yourself to the workshop.domain folder. 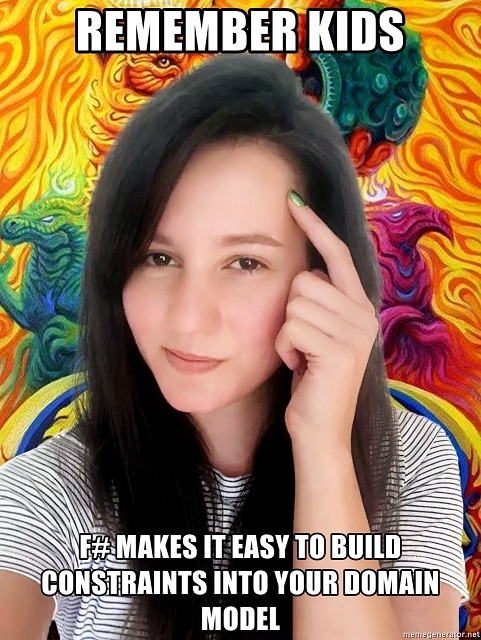 Let's code our domain with a little F#. We work at a University so let's model a course. Ok that's good enough to get started. With your favorite editor open the Library.fs file. Let's model the Department first. For this we will use a discriminated union. It looks like this and you can think of it like an enum. Each department has a department code. Let's add a way to get the department code from the DepartmentCode type. | FineArts      -> "Fine Arts"
Let's add some more. Remember the domain? Let's create a type that models everything that makes up a course. We will use a Record Type to represent a course. Pro tip: copy and paste! Don't type this all. Record types define the shape of your data. You can think of them like properties on a class. Let's make sure you don't have any syntax errors. Let's run a build. Remember how to do that? Did you get any errors? Try to fix them. I'll help. That's nice. 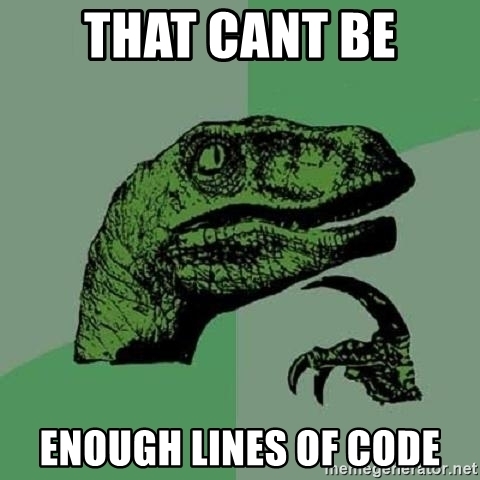 Let's code some constraints. Let's look at the domain again. Copy and paste this above type Course, and I will explain it. This makes it so that you can only create a CourseName type things through the create function. Now that we have a CourseName type we can make the Name field in course that type. Like this. This means that for every instance of a Course type, you will only be able to set the Name to a value that passes the CourseName constraints. Like this. 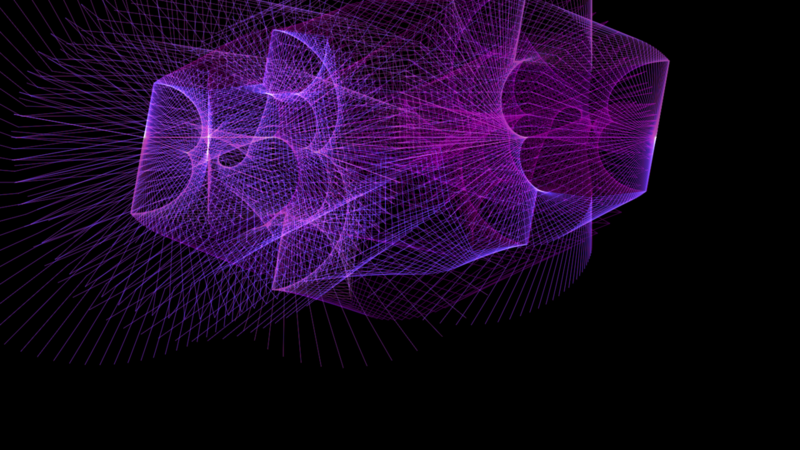 Name = CourseName.create "Underwater Basket Weaving"
Create a testCourse like this. Description = "Traditional basket weaving done under water for best effect." Let's see if your code builds. Do you remember how to do that? Now that we have some code we can write tests against it. First, we will need to reference the domain project in the test project so we can use that code. Pro tip: We can do everything by path, so we don't have to change directories. Now let's check the proj file. Pro tip: If you aren't using tab complete then you are doing it wrong. Great. Now let's write a test. Create a new file and open it in your editor. I will use vim and Visual Studio Code. Expect.equal (Workshop.Engineering.ToCode()) 100 "Engineering course code should be 100"
Pro tip: You can copy and paste. Don't type it all in. Now we need to add the file to the project file. This is so the compiler knows what to compile. In F# the order of the files matters. The proj file specifies the order of the files. Open workshop.test.fsproj. Add the file in the right order. Also, let's remove the Samples.fs file to keep it simple. Let's check the code by building the test project. Let's take the easy way and just build the solution. 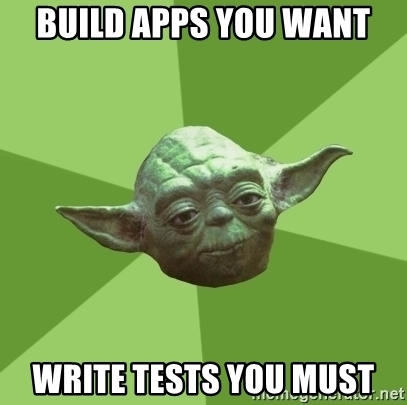 If it is building, let's run the tests. Did you notice that we don't need to specify a test project? dotnet will iterate through each project in the solution file looking for a test project. When it finds one it will try to run the tests. Skipping running test for project /mnt/c/Users/Marnee/interactive-workshop/src/workshop.cli/workshop.cli.fsproj. To run tests with dotnet test add "<IsTestProject>true<IsTestProject>" property to project file. Skipping running test for project /mnt/c/Users/Marnee/interactive-workshop/src/workshop.domain/workshop.domain.fsproj. To run tests with dotnet test add "<IsTestProject>true<IsTestProject>" property to project file. And then the results of the test. This looks good. We had one test and it passed. Yay! If we have time I'll take us through writing another test and talk about Expecto. Wouldn't it be cool if we could automatically make the tests run whenever any code changes? You can! We can use dotnet watch to do this. Notice dotnetis patiently waiting for files to change. Ok, now what would happen with the watched tests if I changed the domain model? Let's try it. and then check back in your command line. Those of you not using a desktop, maybe you can use screen? Or just play along. I will demo. Your test should have failed. Engineering course code should be 100. Now change the code back and see your test pass. Ok we are cooking with gas! Let's build a CLI. We are going to use a package called Argu that will help us quickly write a command line parser. In order to use Argu in workshop.cli we will need to pull in the package. First, remember how to add a dependency? This will download the package from nuget and add a reference in the proj file. log  : Installing Argu 5.2.0.
info : Package 'Argu' is compatible with all the specified frameworks in project '/mnt/c/Users/Marnee/interactive-workshop/src/workshop.cli/workshop.cli.fsproj'. info : PackageReference for package 'Argu' version '5.2.0' added to file '/mnt/c/Users/Marnee/interactive-workshop/src/workshop.cli/workshop.cli.fsproj'. log  : Restore completed in 7.41 sec for /mnt/c/Users/Marnee/interactive-workshop/src/workshop.cli/workshop.cli.fsproj. We also need to reference workshop.domain so we can use it in our CLI. Let's try to use it in the CLI. | DepartmentCode _ -> "specify a course code." printfn "I'm doing all the things!" | None      -> printfn "I could not understand the department code. Please see the usage." Let's run it without building to save tme. Ooops! The CLI doesn't know what we want. Argu helped us write that handling in just a few lines. Let's try that a different way. dotnet has a way to pass custom parameters to dotnet run. First you have your dotnet command followed by -- followed by the parameters. What is our command usage? Let's try passing the department code like this. If we have time I will show more how to use Argu. Ok let's say you are ready to publish your code. 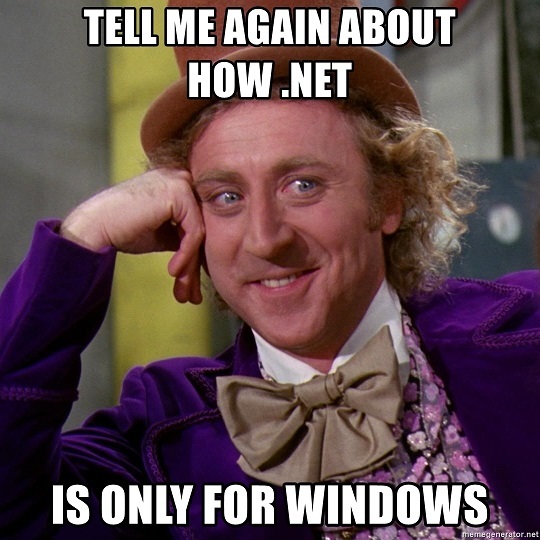 You want to share the working version with the world, but you don't want users to have to run the dotnet command. You want them to just use your cli. You can publish your command and all of its dependencies. You can then execute the command like you would any other program. You can even put a reference in your environment or /usr/bin. Whatever works for you. You can find out more in the Microsoft documentation Deploy with CLI. Lots of options. Let's focus on this one for right now. -o, --output <OUTPUT_DIR>             The output directory to place the published artifacts in. This will tell dotnet where to put your published files. Let's try that. First create a publish directory. Let's publish. Notice the path I put there. dotnet will try to create the publish file in the same directory as the project you are publishing. If we give it the relative path it will publish there, instead. Check the publish folder contents. We have a lot of stuff in there. Let's try to run the published version. Unhandled Exception: System.IO.FileNotFoundException: Could not load file or assembly 'System.Runtime, Version=4.2.1.0, Culture=neutral, PublicKeyToken=b03f5f7f11d50a3a' or one of its dependencies. The system cannot find the file specified. Yep. This is because the way we published it means we need to use the dotnet command to run it. This means that if you give this to someone else to run, they will need to have dotnet installed. Let's try running it that way and then we will publish a standalone executable. Did you see the output from before? Yes, because you are awesome. Having a dependency on dotnet isn't much fun, though. But that is ok because we can publish our cli as a stand alone such that all dependencies are self-contained. Can you guess what the option will be? --self-contained                      Publish the .NET Core runtime with your application so the runtime doesn't need to be installed on the target machine. The default is 'true' if a runtime identifier is specified. That's ok. We need to specify a runtime identifier. This is basically the environment you want to run it on. -r, --runtime <RUNTIME_IDENTIFIER>    The target runtime to publish for. This is used when creating a self-contained deployment. The default is to publish a framework-dependent application. Let's do that. Here are some common identifiers. Find the entire catalog here if I didn't list yours above. No errors. Let's see what is inside the publish folder. That is your "executeable" program. What happens if we try to run it? That looks familiar. Let's give it a department code. If we have time I will show how to create a web application using Saturn. Find your install instructions here. If you don't have a browser this might not work so good. 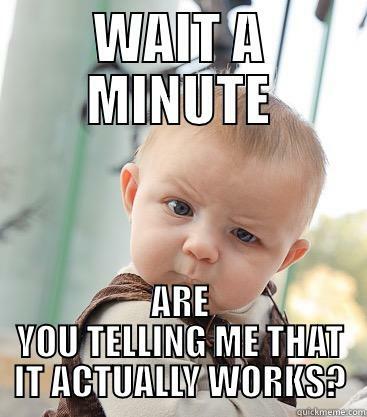 If it works you should see a browser window or tab appear. And there ya go. A fully functional web application in only a handful of steps. Create your folder structure. Remember to be inside the folder where you want to create the project before creating the project. By default, dotnet new will create a project with the same name as the folder you are in. There is an option to specify the project name (-n, --name), which also creates the folder. I like to create the folder ahead of time so I can work out the structure first. This created a console app. Create a class library inside the class library folder you created. Create a test project inside the test project folder you created. If you want to use Expecto, you need to install the templates first. There are lots of templates out there for all kinds of projects. Create a solution file to help build and test without specifying a <PATH TO PROJECT FOLDER>. Put the solution file in a folder above the source code folder like this. By default, this will create a solution file with the same name as the containing folder. You can use the option -n or --name. Make sure you are in the same folder as the soltion file. 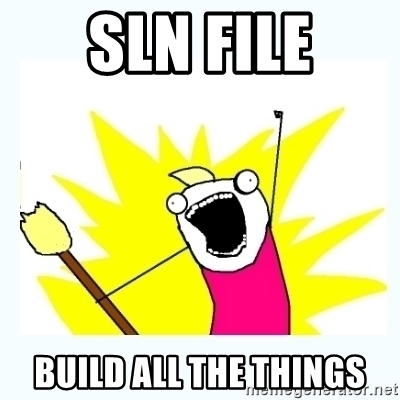 dotnet will look for the sln file and build everything in the file. dotnet will run any test project it finds in the solution file.